Since I first began the OH's family history I realised that the connections with the First World War were, in Barnsley, much stronger than I had found them in the North East, where my own family comes from, or in Sheffield, where I lived for twenty years and brought up my two children. I have traced several of the OH's family lines back to the 18th century in Barnsley, although he has a good sprinkling of incomers too from Lancashire and Lincolnshire. This means that through the branching of the lines and various intermarriages I have so far found nearly 80 Tommies (men who served in WW1) in his tree. I am sure that you are aware that today is the 98th anniversary of the First Day of the Battle of the Somme - a day that holds especial significance for Barnsley as it was on this day 98 years ago that the true horror of 'total' war began to be realised by our town. For many years after the Great War the 1st July was commemorated by a Drumhead Service in Locke Park - the date had more resonance for the people of Barnsley than Armistice Day - it was the day hundreds of local men lost their lives and hundreds more had their lives affected by wounds and the sheer trauma of seeing their friends killed around them. Not just the Barnsley Pals, though of course the losses suffered by the 13th and 14th York and Lancaster Regiments were immense, but many other regiments containing Barnsley men 'went over the top' on this day. 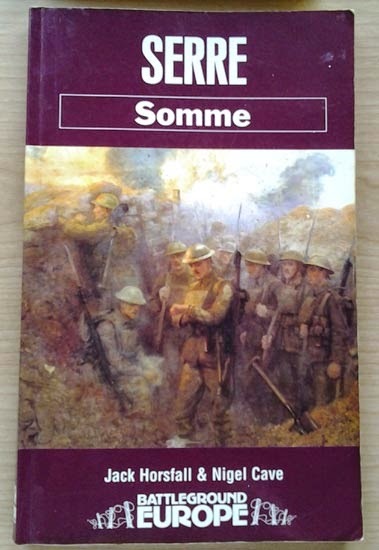 Today I am reading a selection of books from my own bookshelf about the Somme. Here is a little taste of each one. "Exactly at 7:30am an uncanny silence fell over the battlefield. 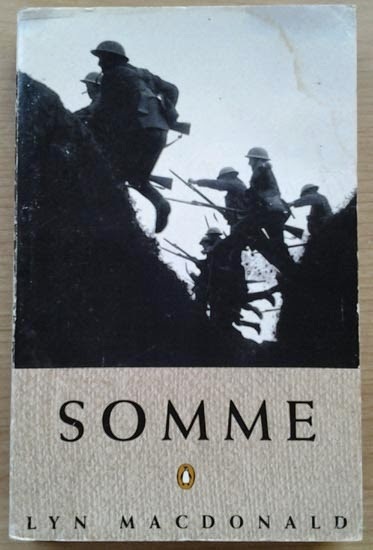 The British barrage suddenly ceased as it lifted from the German front line ... the sun was shining out of a cloudless sky, birds hovered and swooped over the trenches, singing clearly. "The men looked left and right as if to correct their dressing on a parade ground and set off after their officers at the steady, well rehearsed pace towards the enemy. There was no rushing, no shouting." "The Germans spotted some of the gaps in the British wire and their machine guns soon turned these narrow alleys into death traps. [The men] were bewildered, the Germans were all supposed to be dead." "At 0728, seventeen mines were blown under the German front line. Two minutes later 60,000 British soldiers, laden down with packs, gas masks, rifle and bayonet, 200 rounds of ammunition, grenades, empty sandbags, spade, mess tin and water bottle, iron rations, mackintosh sheet, [and] warmed by a ration of rum clambered out of their trenches from Serre to Maricourt and formed into lines 14 miles long." "Sheffield Memorial Park & Memorials. Railway Hollow CWGC Cemetery. Originally there were four small copses in this area, named after the Apostles, Matthew, Mark, Luke and John. The remnants of them now merge into one wooded area, in which is the park, where craters and trench lines have remained undisturbed by agriculture and have been allowed to grass over naturally." "On the left of the attack, 14/Y&L were pushed to the right by the long range machine gun and artillery fire coming from the edge of Rossignol Wood, and in to the path of 12/Y&L. The men were knocked down in droves as they began to bunch and search in vain for gaps in the German wire." 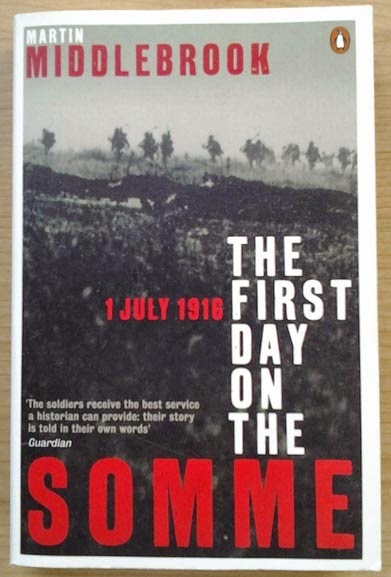 "At 9:30am 18/DLI, 800 yards from the front line, stuck to their schedule even though they could see the awful disaster spread out before them. They went over the top in file, passing through 2nd Bradfords who had gone before them, with what was left of the battalion sheltering best as they could. On the left 1st Barnsley Pals had made a similar approach to the front, and also took their place in the disastrous scheme of things." "Most of the men of the 31st Division were hardly aware they were in the Fourth Army, let alone the 8th Corps. They seldom even referred to their battalions by their official titles. A man of the 13th or 14th York and Lancaster Regiment preferred to think of himself as being of the 1st or 2nd Barnsley Pals." "In all of Kitchener's Army there was hardly a group of more happy-go-lucky amateur soldiers than the Pals and luck, so far, had been on their side. While the majority of the Army had been enduring the chill and discomfort of winter on the Western Front, the Pals had been wintering in Egypt and had only been brought back to France late in the spring." 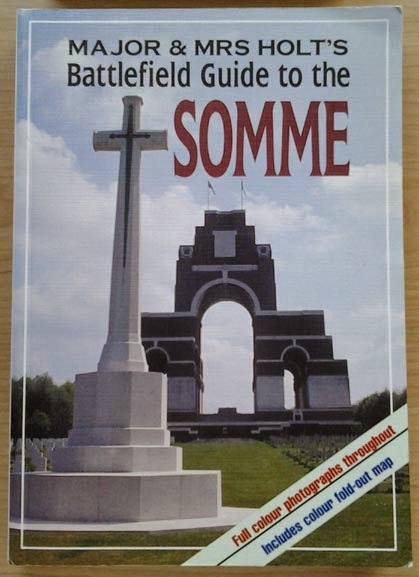 Of course there is also Jon Cooksey's great book about the Barnsley Pals and there are lots of other dedicated books about different areas of the front and different Regiments during the Battle of the Somme but today I am looking at a particular aspect. My own 'research in depth' war memorials are St Luke's at Worsbro' Common - eight men fell on 1 July 1916 and another on 2 July - and St John's, Barebones nearer to the town centre - ten men fell on 1 July 1916 and another two on 7 July and I haven't finished finding all the names on this memorial on the Commonwealth War Graves Commission site yet. Of those six were in 1st Barnsley, six in 2nd Barnsley, eight more in various other York & Lancaster Regiments and three in the Kings Own Yorkshire Light Infantry (KOYLI). Bearing in mind that Worsbrough Common and Barebones/Wilson's Piece are adjacent to each other, separated only by Park Road, with families spread across both and often men mentioned on both memorials because of that (one of the men tallied above is a William Padley Tindall who appears on both memorials) and the surnames Tingle and Royston appear twice but are different men - the impact on the area once the news began to reach Barnsley must have been appalling. The Barnsley Chronicle published a piece on 8 July trying to defuse the tension. 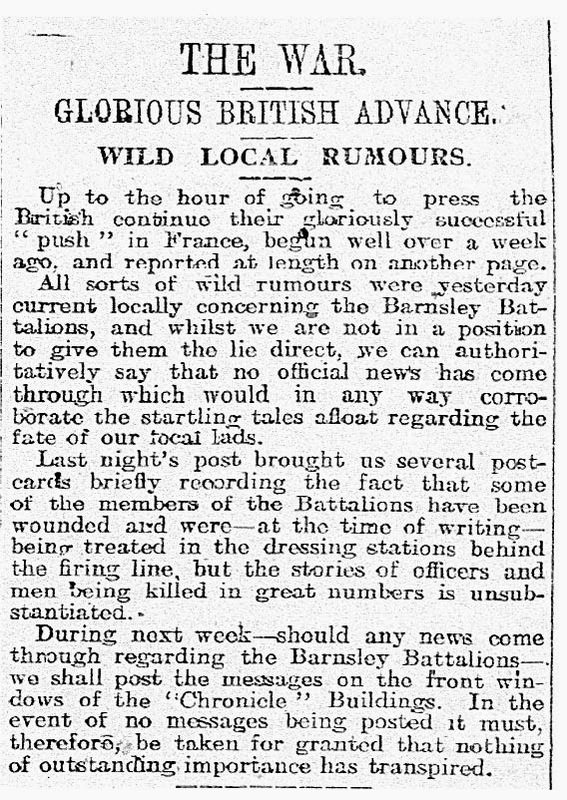 Unfortunately it was not long until official news did reach Barnsley and the full horror of the slaughter at the beginning of July 1916 was revealed. Thanks for reading - Lest We Forget.